Americans and Canadians getting dental treatment in Cancun isn’t something to be surprised about anymore. By choosing cosmetic dentistry in Cancun – Mexico, people can get great deals on procedures that are usually too expensive in countries where they come from. ntistry (AACD), the demand for cosmetic dental procedures rose significantly over the last five years, with demand for teeth whitening posting the highest growth rate of over 300%, followed by porcelain dental veneers at 250%. 99% of Americans consider smile an important social asset. Unfortunately, data from the 2008 National Health Interview Survey shows that an estimated 45 million Americans had no dental coverage. The amazingly low cosmetic dentistry prices in Cancun have been putting a smile on the face of many uninsured Americans who take oral health and dental aesthetics very seriously but have no means to pay for expensive dental work in the US. Dental tourism in Mexico is all about providing quality dental work without the hefty price tag to gain a huge share of the global dental tourism market. As cosmetic dentistry is usually not covered by insurance, many medical tourists have been taking advantage of the easy-on-the-pocket dental implants cost in Cancun. Every year, thousands of patients travel to get dental implants in Mexico to replace their damaged or missing teeth. Like dental implants, porcelain veneers are very costly in high-income countries. With cheap cosmetic dentistry in Cancun, you can get dental veneers for as low as 50% of what you will normally pay in these countries. Dental veneers in Mexico are made from materials approved by the FDA. Note, however, that searching for a reputable dentist or dental surgeon is of the highest importance when you seek cheap dental work abroad. You can start with reading cosmetic dentistry reviews in Cancun online or by asking for a referral from a friend or a relative who has had a dental work done there before. 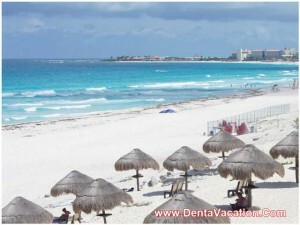 The low cosmetic dentistry costs in Cancun do not translate to poor dental work. For one thing, you can easily find a top-notch cosmetic dentist in Cancun to fix your dental ills. Many Mexican dentists have trained abroad and have years of experience in their chosen specialty. Those used to treating foreign patients can speak English very well and are adept at making their patients feel very comfortable. The reputable Cancun cosmetic dentistry clinics usually have world-class facilities and use A-one dental materials and equipment, which will help put you at ease. There are many JCI-accredited clinics to choose from. Dental tourists coming from the USA don’t have to spend a great deal of money on expensive plane tickets. There are cheap, daily flights to Mexico, or they can just drive down to their destination, cutting a great deal on travel costs. Rest and relaxation should definitely be a part of your stay while you avail cosmetic dentistry in Cancun. Explore the top destinations here, including the Tourist Zone on Cancun Island, the Isla Mujeres, the Playa Del Carmen, the Mayan Ruins of the Yucatan, and Centro. Tap water in Cancun is generally unsafe for drinking, so make sure you buy purified bottled water at all times. Major banks and cash points are located at the shopping centers within the Zona Hotelera. Even on gloomy days, you can still get sunburned in Mexico, especially when sunbathing on the beach. Always wear sunscreen and drink lots of water to avoid dehydration. Tipping is common at main restaurants and hotels. Taxi drivers, however, are given a tip only if they provide really good special service. For any assistance, you can contact the Cancun Convention and Visitors Bureau and the State Tourism Office. Keep their contact numbers handy. You name it – cost savings, quality dental work, state-of-the-art dental clinics, and expert and friendly dentists – and you will get it all in Cancun. No wonder more and more people are choosing cosmetic dentistry in Cancun – Mexico to get that perfect set of teeth to show off. 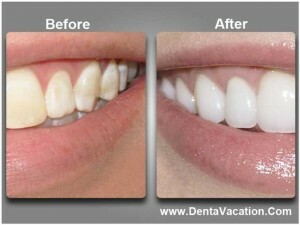 Submit the free request quote form on the right for more information on Cosmetic Dentistry in Cancun, Mexico.